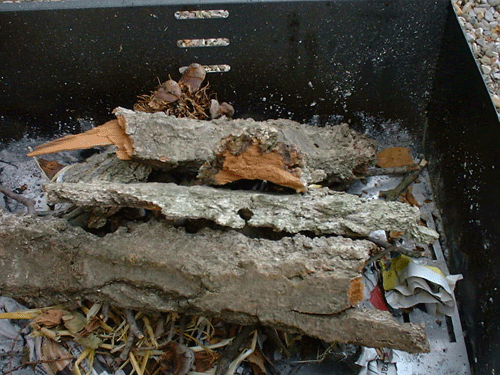 So, what if you don’t have firelighters? It is basic human instinct; to want to build a fire.Gather what you can around you that is dry. Now, I have to confess that the pictures on this page were taken on holiday in Italy so everything was tinder dry but it can still be done here in the UK. Next add some dry tinder material i.e. 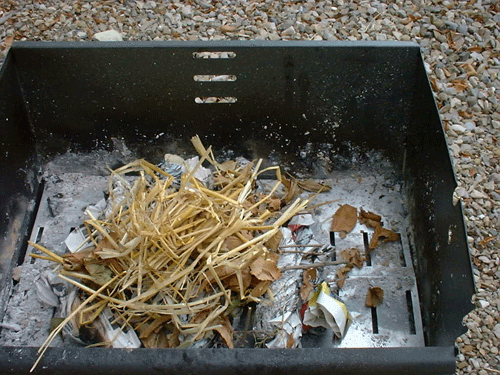 grass or fine wood shavings, this will help to generate flames quickly. Now pile on some dry twigs. 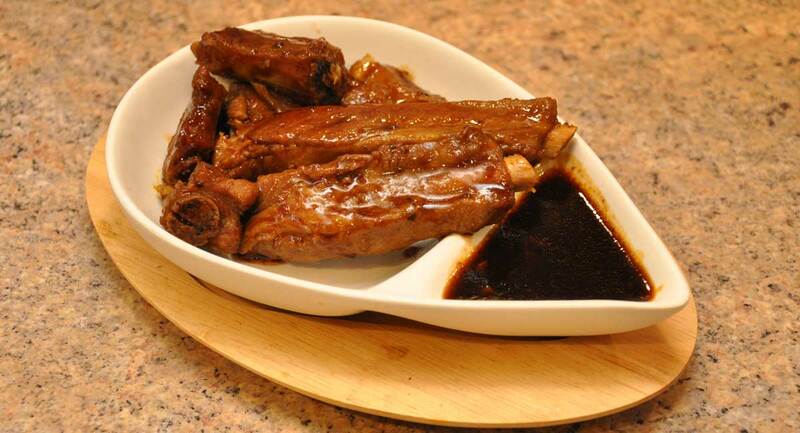 Don’t use pine as it contains a resin which can taint your food. 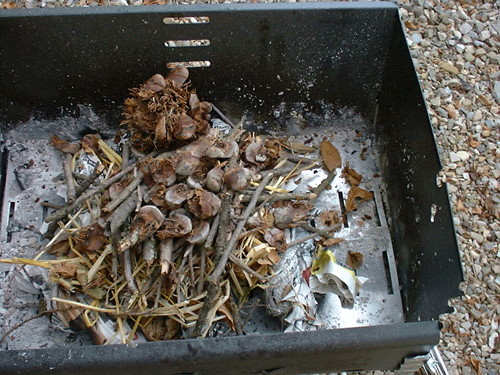 In this case there were plenty of cones lying about which burn really well so they were added on top. Now some decent pieces of wood – again avoid pine! 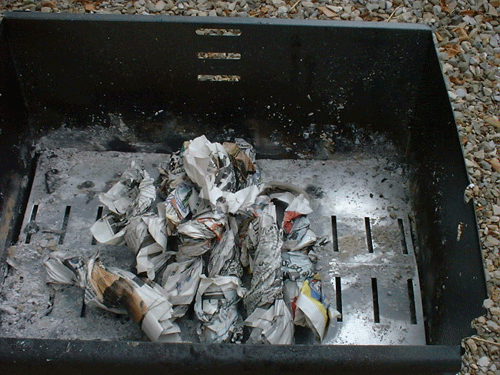 Finally add some charcoal if you have any and light the paper at the bottom. 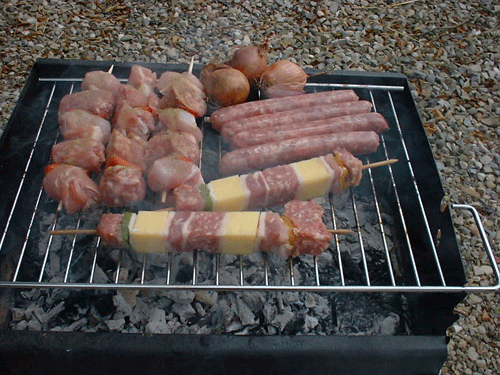 The barbecue will light quickly and be ready to cook in no time. If you don’t have charcoal just add some more large pieces of wood. 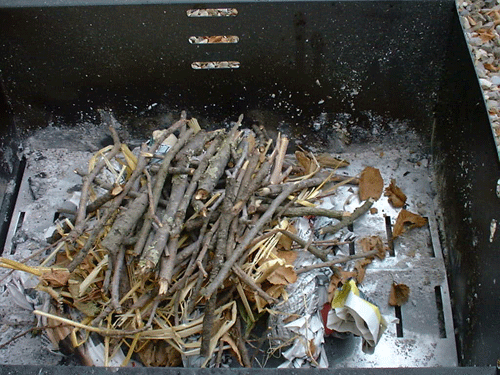 As with a normal barbecue, wait until the wood has burned properly and covered with a grey ash before you start cooking, but remember, wood ashes will burn much more quickly than charcoal so use food that will cook fairly quickly. The barbecue, ready to go! Please also remember that carbon monoxide kills! Do not barbecue indoors or in a tent or anything similar. 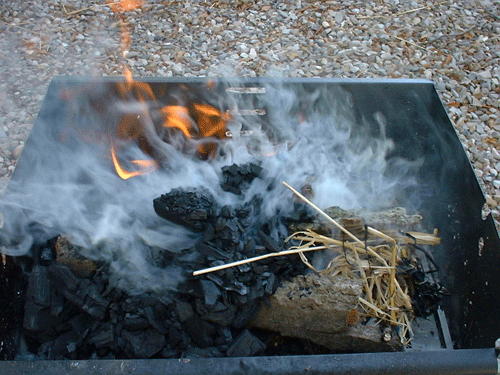 Even a warm barbecue or stove can emit carbon dioxide which can cause suffocation.